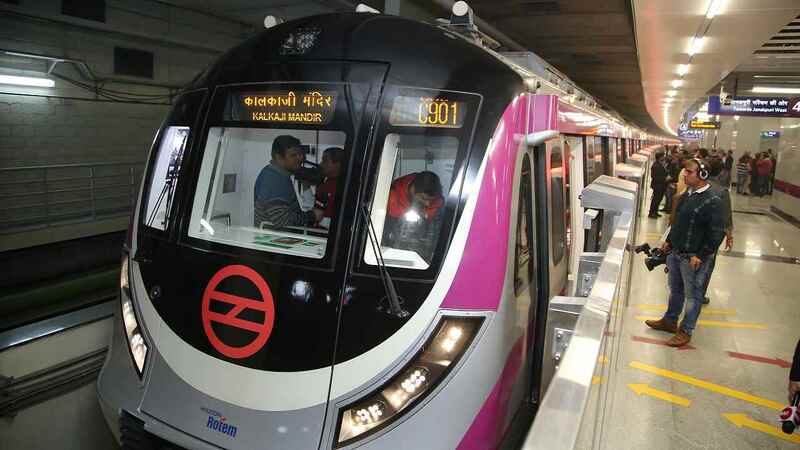 Magenta Line was stuck for over 30 minutes on Wednesday evening after a technical snag halted a train at the Shankar Vihar Metro station. 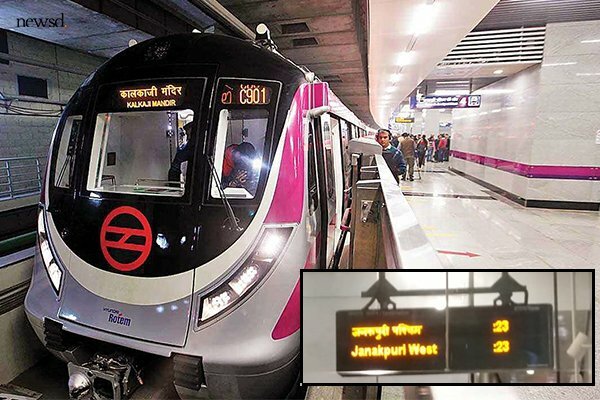 New Delhi: Commuters in Delhi Metro’s Magenta Line, which connects Janakpuri West with Botanical Garden, were stuck for over 30 minutes on Wednesday evening after a technical snag halted a train at the Shankar Vihar Metro station. The Delhi Metro Rail Corporation (DMRC) said the train halted due to a signaling issue at Shankar Vihar at 4.35pm. Officials said the train was later pulled out of service and sent for maintenance by 4.55pm. 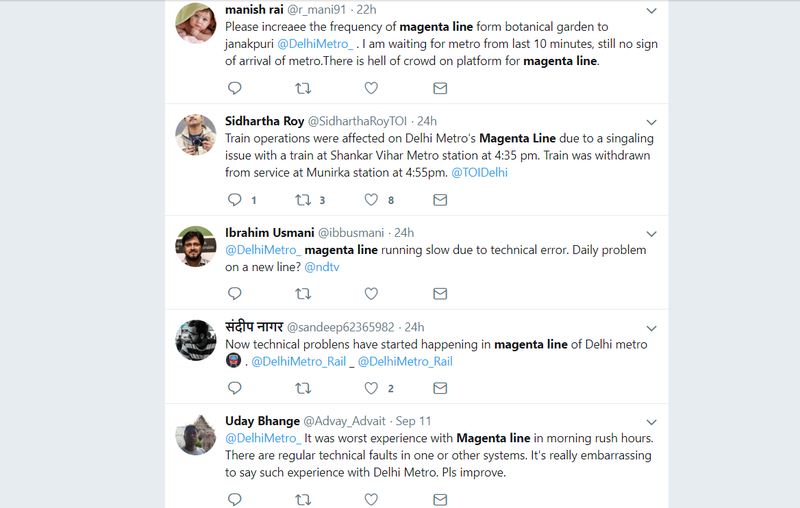 “The problem was reported with one train but it led to bunching and delays on the entire Magenta line,” said a DMRC spokesperson. He said normal services resumed after 4.55pm. Commuters who were traveling on the line at the time said trains from Janakpuri West to Botanical Garden were operating at a snail’s pace. “Completed my trip from Dashrath Puri to Hauz Khas and it took me 30 minutes… I cover the distance in half the time…,” Supriya Sareen, a commuter, tweeted. Wednesday was the second consecutive day that a technical snag hit the Magenta Line. This inconvenience made commuters very angry and they have every right to be angry as Majenta Line trains that will run unattended soon as it is the first time in India. However, there would be roving attendants. The metro would keep this mechanism for a year or two and will get passengers to feedback on this for improvement purpose. Eventually, DMRC plans to remove those attendants, to make the train fully driverless. When DMRC has such a plan they can’t be so careless regarding their normal service with drivers.